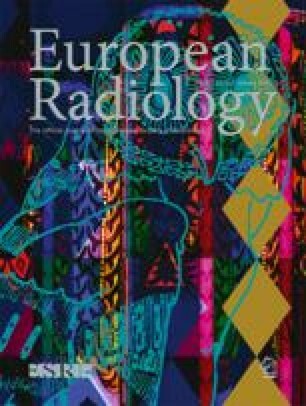 The purpose of this study was to determine hepatic and vascular enhancement, clinical tolerance, and iconographic quality of Iobitridol (300 mg/ml) at dual-phase helical CT and to compare it with Iohexol (300 mg/ml). One hundred forty-six patients were randomly divided into two groups. Each group received 120 ml of Iohexol (group A) or Iobitridol (group B). Mean enhancement of liver, aorta and portal vein was obtained at the arterial phase and at the portal-venous phase. Overall image quality was assessed by two independent blinded investigators. Adverse reactions were recorded. There were no significant differences in demographic characteristics and distribution of patient intrinsic parameters between the two groups, except for blood pressure but without statistical correlation between the difference in blood pressure and the impact on enhancement measurements. There was no significant difference in clinical tolerance and image quality. Mean liver as well as aortic and portal vein enhancement measurements did not show any significant difference. Iobitridol compares favorably with Iohexol. Both products have similar safety, tolerance, and efficacy. Both contrast media have equivalent blood pool concentration and interstitial compartment diffusion.